After 25 years of work as a state judge, Stephanie Rhoades has resigned, leaving behind a therapeutic court she created to help people with mental health issues. 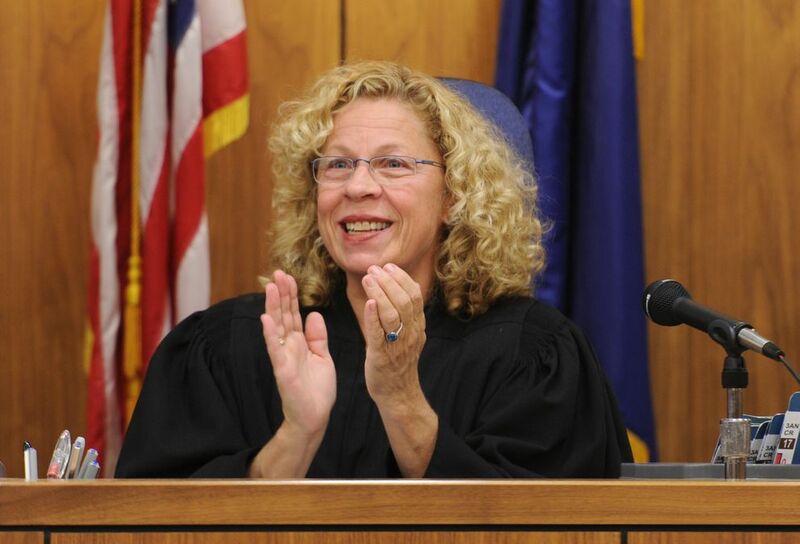 "One of the reasons I would have stayed longer is the need to ensure that mental health court has a succession plan," said Rhoades, who was appointed to be an Anchorage District Court judge in 1992. "I've always been worried about the court surviving without another passionate, committed judge." 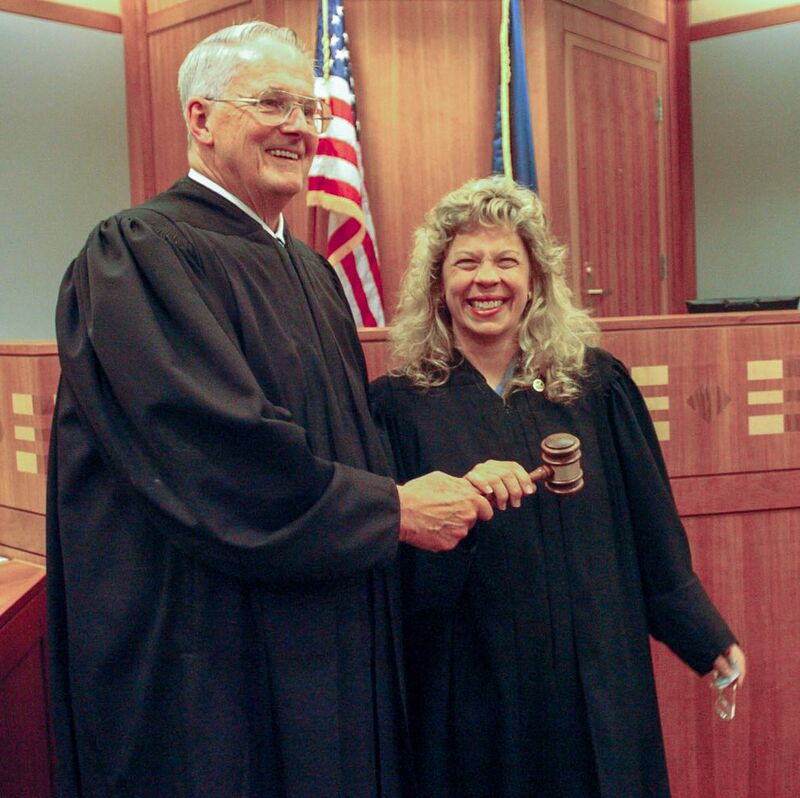 With the appointment of an Anchorage Superior Court judge who is enthusiastic about carrying forward the court's mission, Rhoades handed over the reins to other judges — the new lead and backups. She plans to spend more time with family, which she said she neglected due to her focus on the alternative court. It was 1997 when Rhoades created the mental health court, whose formal name is the Anchorage Coordinated Resources Project. The voluntary therapeutic court was one of the first in the country, said Mara Rabinowitz, communications counsel for the state's court system. The court diverts eligible applicants with mental disabilities from jail and into community treatment that includes a team of people who monitor them to make sure they are adhering to the decided course of action. It's meant to reduce inappropriate incarceration and psychiatric hospitalization of mentally disabled offenders. In fiscal year 2014, a total of 203 people who found themselves on the wrong side of the law participated in the mental health court. They experienced a range of mental illnesses, the most prevalent being psychotic disorders, Rabinowitz said. Rhoades said she believes the relationships she formed with people who went through the court had real benefits. "Many folks are homeless. They have been isolated," she said. "They're just dying for someone to tell them that they're capable of doing something positive, and to give them positive feedback for doing things right. "Working with people who tend to be stigmatized – I'll never experience this kind of work satisfaction again." Rhoades lists several studies conducted over the past decade that speak to the court's advantages. A 2008 study funded by the Alaska Mental Health Trust Authority found the mental health court to be a cost-effective way of preventing many of its participants from repeating their mistakes. The study says the combined institutional savings achieved by the court was estimated to be nearly two and a half times its annual operating costs of $293,000. It found the daily average cost per person ($19.82) was substantially less than the daily cost of incarceration (around $120 at the time of the study). The research also showed participants "were less likely to engage in new criminal conduct after exiting the program than an equivalent group of people experiencing mental illness also involved in the criminal justice system." Taking the lead is newly appointed Superior Court Judge Jennifer Henderson. A District Court judge since 2012, Henderson was appointed to the higher court by Gov. Bill Walker this year. Back in 2004, when Henderson was part of a misdemeanor unit in the state prosecutor's office, she participated in the mental health court. 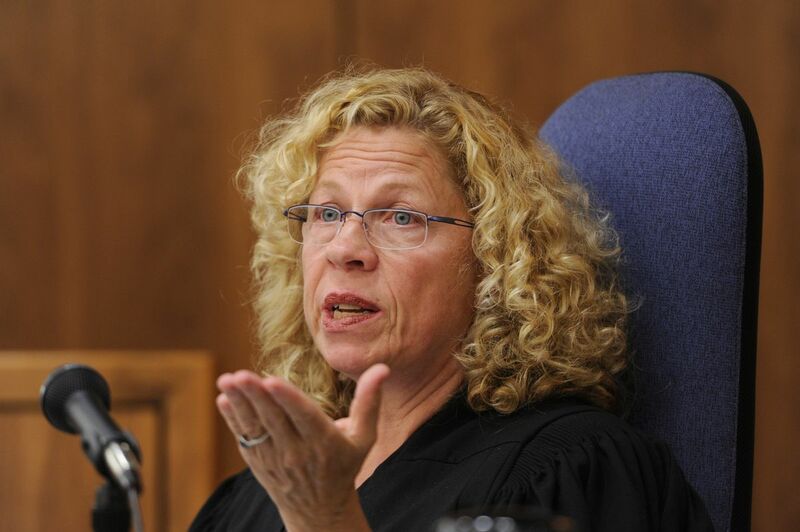 When she became a judge, Rhoades served as her mentor. "I think she remembered me being there as a prosecutor," Henderson said. "And I wasn't secretive about the things I was interested in, including the mental health court." Henderson has presided over the three-days-a-week mental health court once a week since early last year, so it's not unfamiliar territory. In the short-term, Henderson plans to operate the court no differently from the way Rhoades has for the past two decades. Looking further out, she hopes to enroll more participants with felony offenses. The court caps the number of people with Class C felonies who can participate at 10. Whether that total will be increased would require an agreement among everyone involved — judges, attorneys and probation officers, among others, Henderson said. There's currently a waitlist among those applicants, she said. "That's a potential change but it's one that we'll think about and discuss at length before making it," Henderson said. With her departure, Rhoades said she worried about how the court system will decide to operate the court. Rhoades said judges need time allotted to prioritize helping people who are overrepresented in prisons. According to an Urban Institute report, 64 percent of prison inmates, state and federal, have a mental health problem. "If we're really committed to reform, trying to do things like (justice reform legislation Senate Bill 91) want to accomplish, which is to reduce the number of people in prisons and avoid the cost of building another facility, we really have to have these alternatives available to people whose underlying problems are mental health and substance abuse," Rhoades said. Correction: In an earlier version of this story, a caption inaccurately described the ceremony depicted in the photo of Judge Wanamaker and Judge Rhoades.